How does digitisation change the ways we read? What do we currently know about the differences between reading on paper and reading on screens? The current wholesale adoption of digital screens – in educational as well as leisure settings – is profoundly affecting our reading habits. 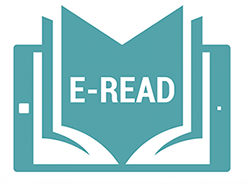 Since November 2014, researchers from a wide variety of disciplines all over Europe have come together, in the framework of the COST Action E-READ (http://ereadcost.eu/), to pursue such questions and to begin mapping the effects of digitisation on reading. On October 3-5, they meet at The University of Stavanger for a showcase conference to present some of the findings and to discuss implications of digitisation for stakeholders such as the educational field, policy makers, and publishers. Invited speaker at the conference is Maryanne Wolf, internationally renowned researcher and author of Proust and the Squid: the story and science of the reading brain.